Åbergs Garden & Café would like to welcome you to a unique garden with an environmentally friendly nursery, a large selection of plants for sale, a café with home made lunches and cakes, a garden boutique and beautiful show gardens. We grow and sell close to 2000 different kinds of herbaceous plants. 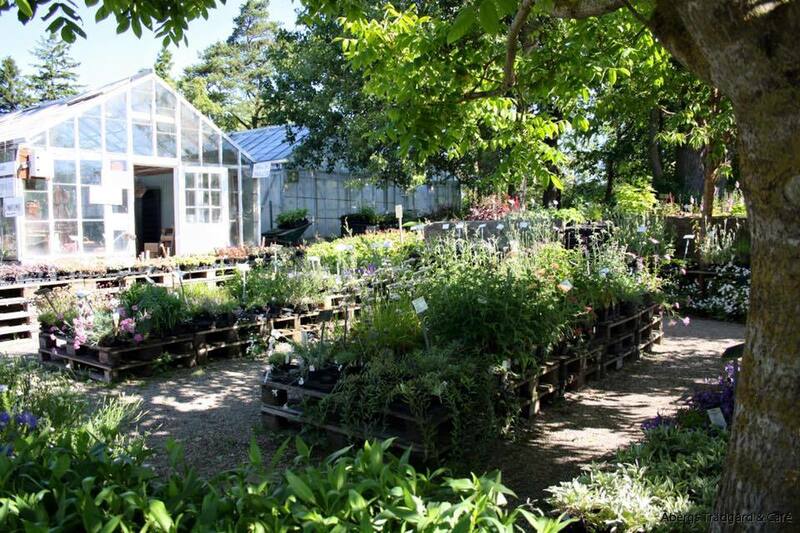 You will also find Sweden's largest selection of annuals and vegetable plants as well as more than 1000 varieties of perennials and herbs. We also offer vines, fruit trees, berry plants, trees and shrubs. Enjoy a delicious and beautiful lunch or cake in our garden café! 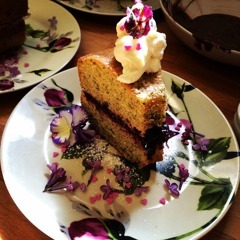 Most of the fruit or vegetables presented on the plates have been grown in our very own organic garden and we always use as much environmentally friendly, local products of high quality as possible. When the sun is shining we offer many seats outside amongst the flowers and the singning birds. On a rainy day there are plenty of seats inside the café or the nearby greenhouses. For lunch we offer rich pies, salads, soup or sandwiches and every day we offer a great variety of cakes and biscuits to go along with a nice cup of tea or coffee. Because we grow much of our own produce and make and bake evrything on site, the menue varies with the season. In case a group would like to visit the café we ask you to contact us beforehand so we can prepare the best experience for everyone.